That's cold bro! That's cold! Probably partially true tho. When Harmony NAS first came out and it was 3,500 yen and I didn't even bother to waste my time and I will not waste my time at all specially now at 5k-7k yen. I bought H17 and H21 without having second thoughts at 10,000 and 25,000 yen just two years ago. But I have been a big fan of the Nikka 12 from the start when it was around 3,500 yen! Still buying at 6,000 yen now all day! I remember your posts on here from back in 2016 when H17 was still easily available at ¥10,000. Glad I stocked up then, we've definitely witness the prices skyrocket, I can only imagine how someone who just started hunting recently must feel! What is list nowadays? $100 usd? Also im staying in Ginza in April, any nice FTers wanna give this first timer in Tokyo any tips? BradnerBoy, groovbusta, sbjnyc and 4 others like this. What kind of tips are you looking for? BradnerBoy and sbjnyc like this. Great hotel. BiG is only about 3 minutes walk from the Centric, they also have an excellent selection of Bourbon, I'm not an expert on bourbon but I lot of people go there for Blanton's Gold etc. so it should be a good starting point for you. Otherwise hop on the Maranouchi line at Ginza station and head over 1 stop to Tokyo station to check out Hasegawa. But I have been a big fan of the Nikka 12 from the start when it was around 3,500 yen! Still buying at 6,000 yen now all day! I couldn't agree more... great "cost/performance" ratio and love that it's a Japan only release. 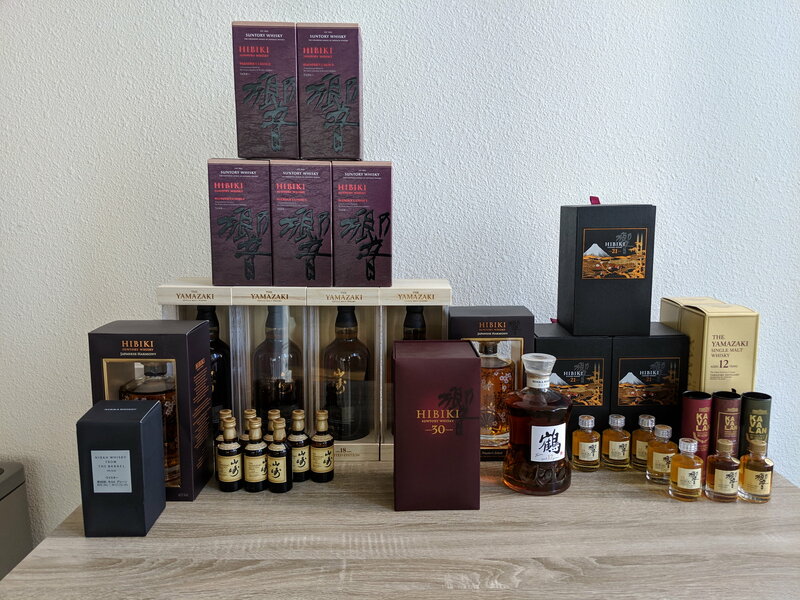 Has anyone tasted or bought the Ichiro's Malt "Maduro" Grand Hyatt release? Limited to 300 bottles, but not sure if it's worth the 63,000 yen price.